Does This TV Company Have a Defense to Breach of Contract Case? Donald Trump has announced a plan to sue the television station Univision for $500 million after Univision decided not to air the Miss Universe pageant as a result of controversial comments Mr. Trump made regarding immigrants. Trump is claiming that the contract with Univision is “iron-clad” and contains no exceptions that would allow the television station to avoid paying the money owed. Univision, on the other hand, has reportedly asserted that the station was justified in declining to air the pageant and in ending its relationship with Trump because it has an obligation to its viewers. The specific details of the contract between Trump and Univision have not been released to the public. Whether the lawsuit will go forth, and whether it will be successful, will depend upon the terms of the contract and whether Univision has a viable defense to a breach of contract. A contract creates private law and both parties to the agreement must abide by its terms unless there is justification for failure to perform. This would mean that if Univision agreed to pay Trump to air the Miss Universe pageant and if Trump made the pageant available for the television station to air, Univision would be bound by the contract terms unless there was some legitimate and justified reason for not fulfilling its obligations. The contract between Trump and Univision was signed on January 16 for $15 million over a five-year period of time. Univision agreed to pay for the rights to air the Miss Universe Pageant, which is schedule to air on July 12. Trump wants Univision to air the pageant and pay as promised, but the station has indicated it will not be doing so. Whether Univision can avoid paying Trump the money promised is going to depend upon whether Trump’s conduct creates an escape clause for the television station. CNN Money reported that most contracts in the entertainment business have “loopholes and clauses that are specifically designed for cases like this one.” For example, a contract in which a public figure is asked to be a spokesperson for a brand may have a morality clause requiring the public figure not to engage in behavior that would hurt the brand. If the clause is violated, this creates the right to drop the sponsorship and not fulfill the rest of the terms of the agreement with the public figure. Deadline, however, reports that Trump has indicated the contract has “no termination rights.” If there is not a specific morality clause or similar provision of the contract allowing Univision to avoid paying Trump because Trump made offensive statements, the station is likely going to have little recourse. It agreed to pay Trump for the Miss Universe pageant and even if it decides it does not want to complete this payment because it does not like Trump’s actions, the station cannot unilaterally terminate its contractual obligations. Morality clauses are one possible provision in a contract that can make it possible for the other party to be released from fulfilling the terms of the agreement. There are many other provisions that parties can include in contracts including conditions precedent and conditions antecedent that must be fulfilled if a contract is to remain legally binding. Unless there are specific contract provisions allowing for cancellation of the contract or non-performance, there are limited defenses to breach. A party could defend against a breach a contract claim by asserting the defenses of mutual mistake; fraudulent inducement to enter the contract; impossibility of performance (for example if a property that was to be sold has been destroyed by fire); illegality of the contract; or lack of consideration. There may also be other defenses as well, but deciding you do not like the other party to the contract is not generally going to be a viable excuse for failure to fulfill contract terms. 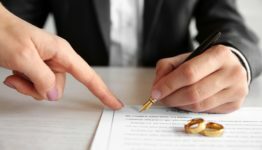 If you become involved in a contract dispute and are either accused of breaching or believe someone else has breached an agreement with you, you need to get legal help. Contact a New York commercial litigation lawyer for assistance as soon as possible.